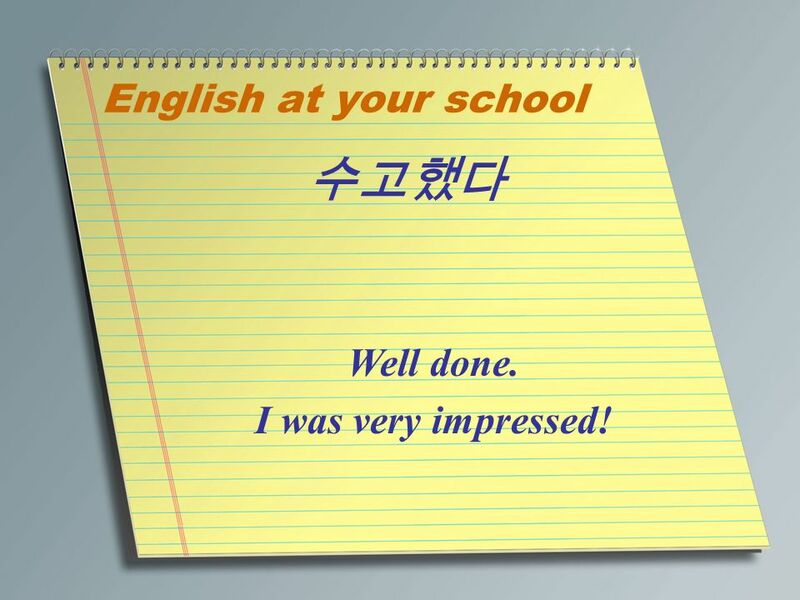 2 English at your school 수고했다 Well done. I was very impressed! 3 English at your school 애써서 좋은 수업을 보여준 것에 감사한다. Thank you for the great lesson. It was very impressive! 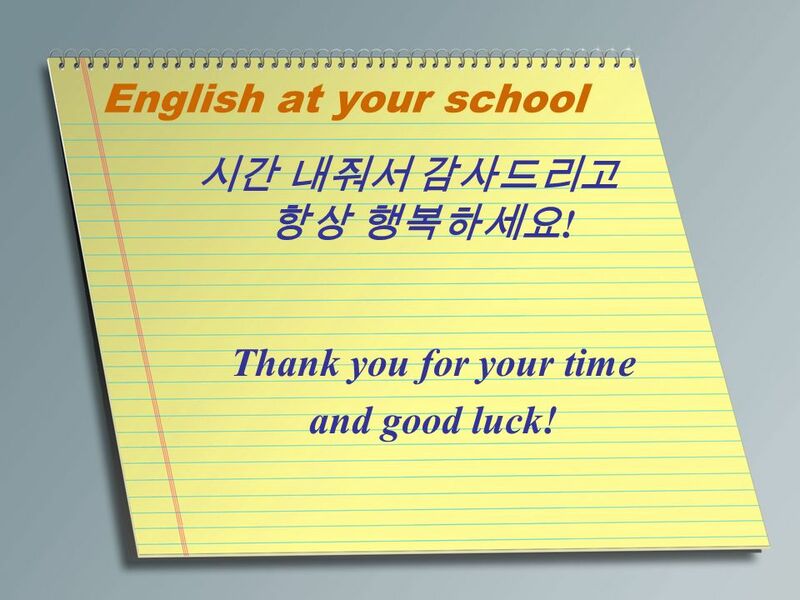 4 English at your school 허용적인 분위기가 우수 했다. It was good to see you accommodating the student’s needs. 5 English at your school 부진한 학생들에게자신감을 주는 점이 우수했다. It was good to see you give equal opportunities to slower learners. 6 English at your school 학생 수준에 맞는 영어를 사용한 점이 우수했다. 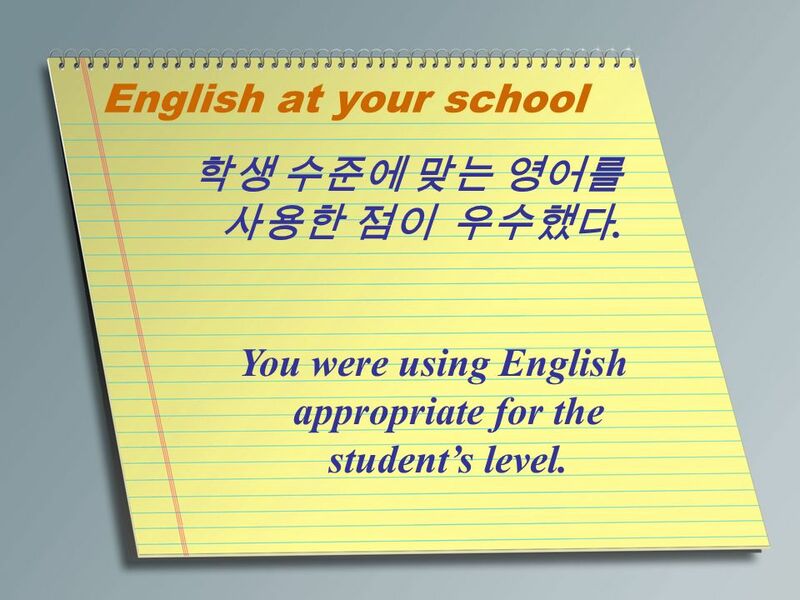 You were using English appropriate for the student’s level. 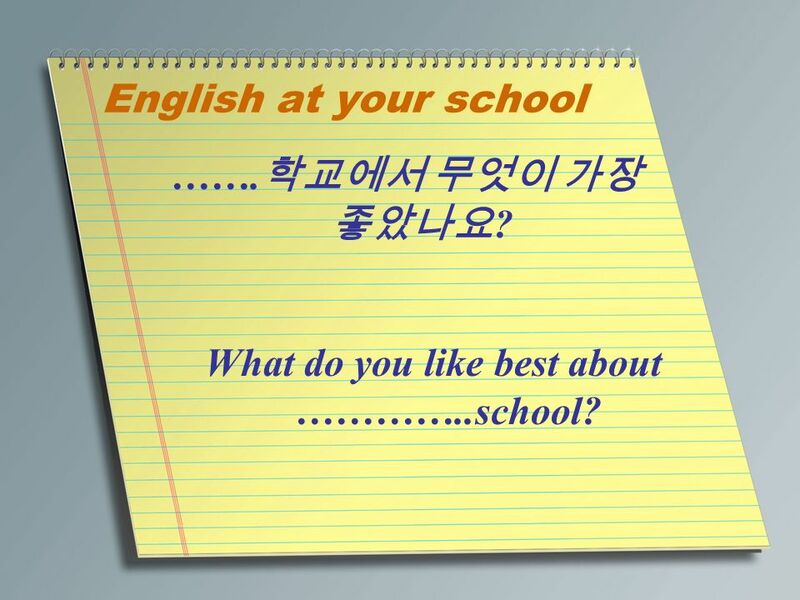 7 English at your school 깔끔한 옷차림이 좋았다. I like your professional look / attire! 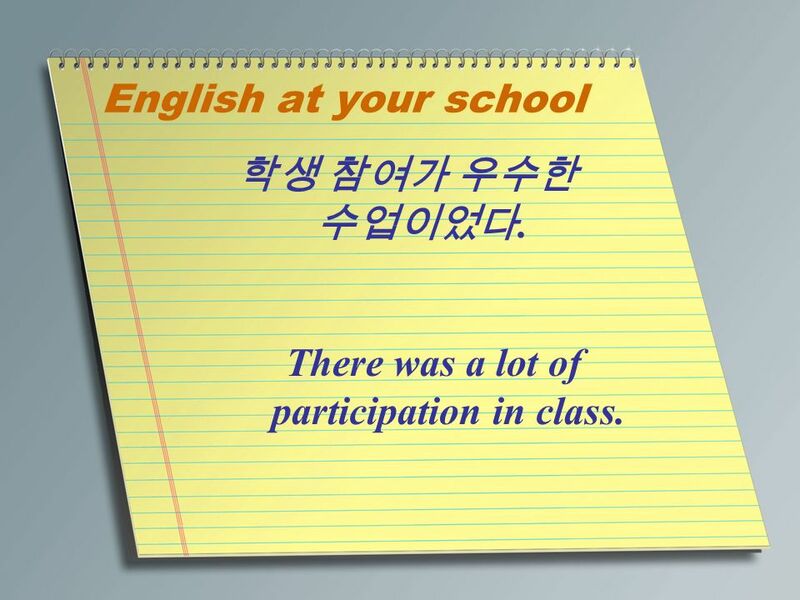 8 English at your school 글씨를 정성껏 쓰는 점이 좋았다. 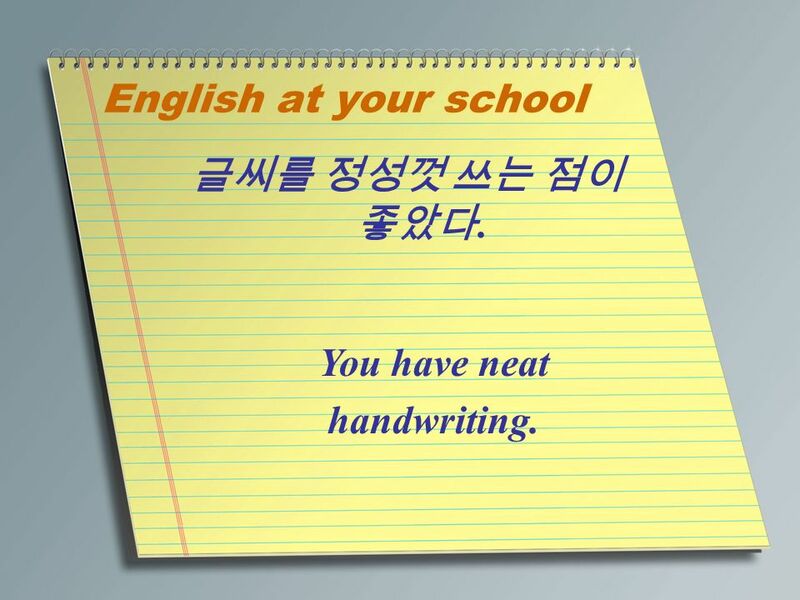 You have neat handwriting. 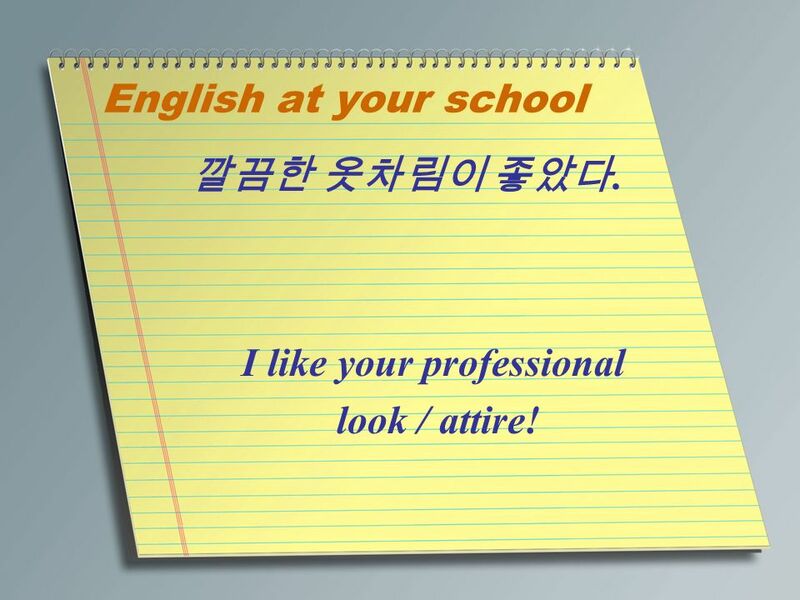 9 English at your school 교재와 교구의 선정이 적절했다. 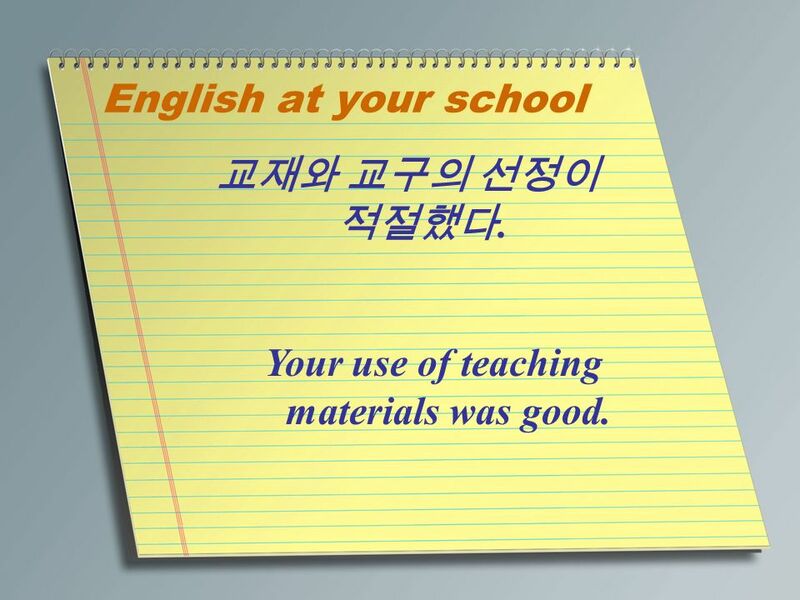 Your use of teaching materials was good. 10 English at your school 학생 참여가 우수한 수업이었다. There was a lot of participation in class. 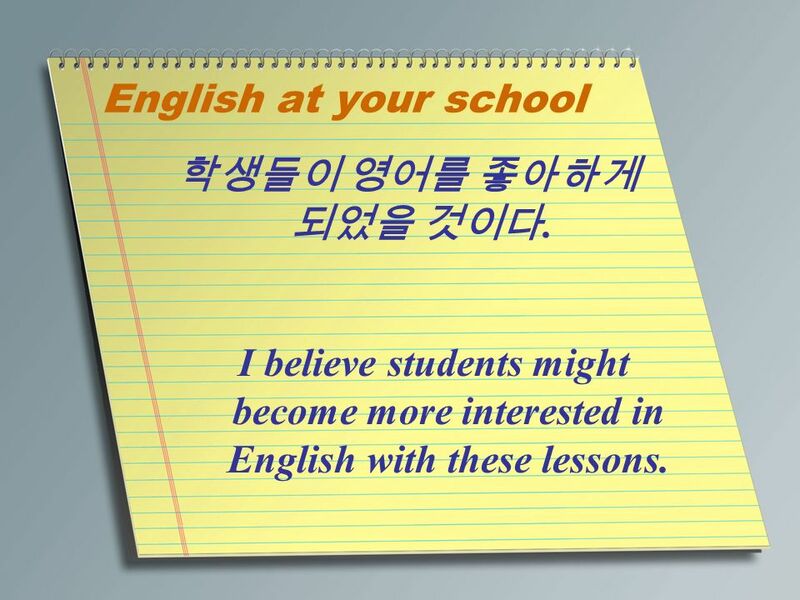 11 English at your school 학생들의 의사소통 능력이 많이 향상되었다. Student communication skills seemed to improve a lot. 12 English at your school 학생들이 즐겁게 참여한 수업이었다. The students seemed to enjoy the class a lot. 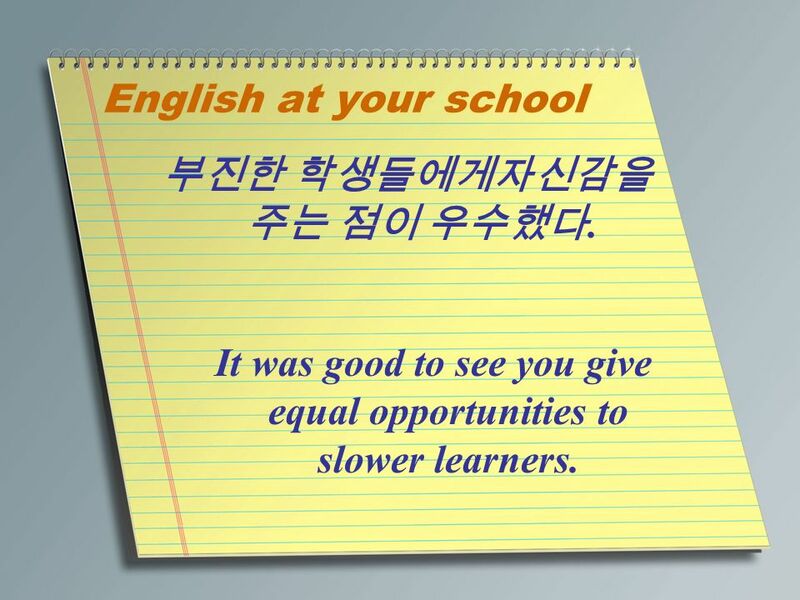 13 English at your school 학생들이 영어를 좋아하게 되었을 것이다. I believe students might become more interested in English with these lessons. 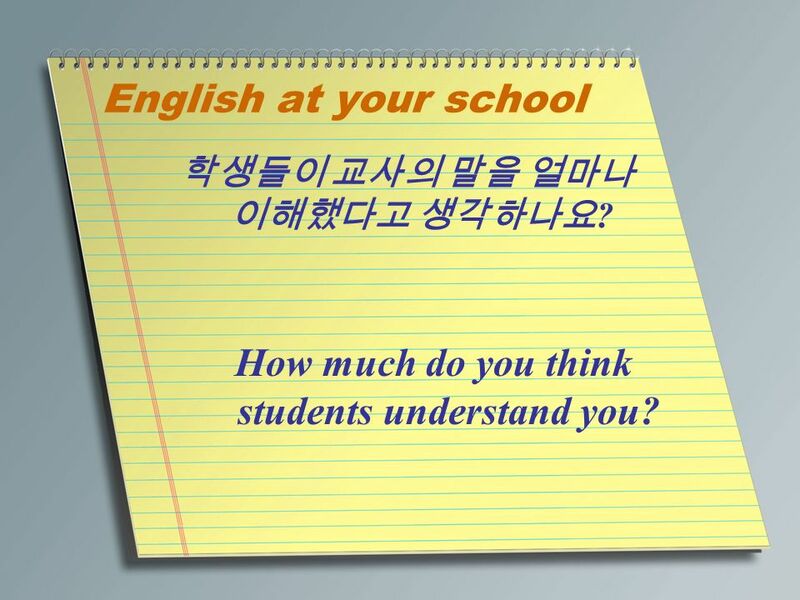 14 English at your school 학생들이 교사의 말을 얼마나 이해했다고 생각하나요 ? How much do you think students understand you? 15 English at your school 학생들에게 자신감을 주기 위해 어떻게 하나요 ? 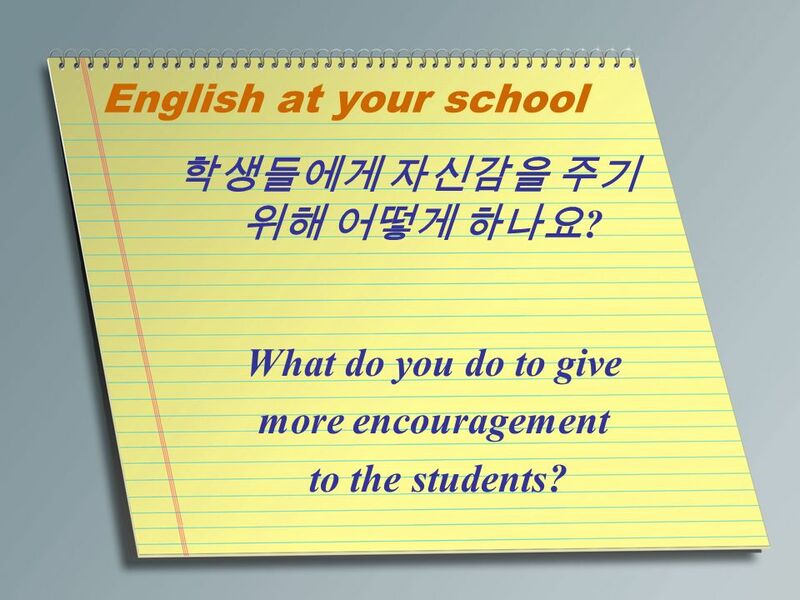 What do you do to give more encouragement to the students? 16 English at your school 학생들이 교사의 말을 이해하지 못할 때는 어떻게 하나요 ? 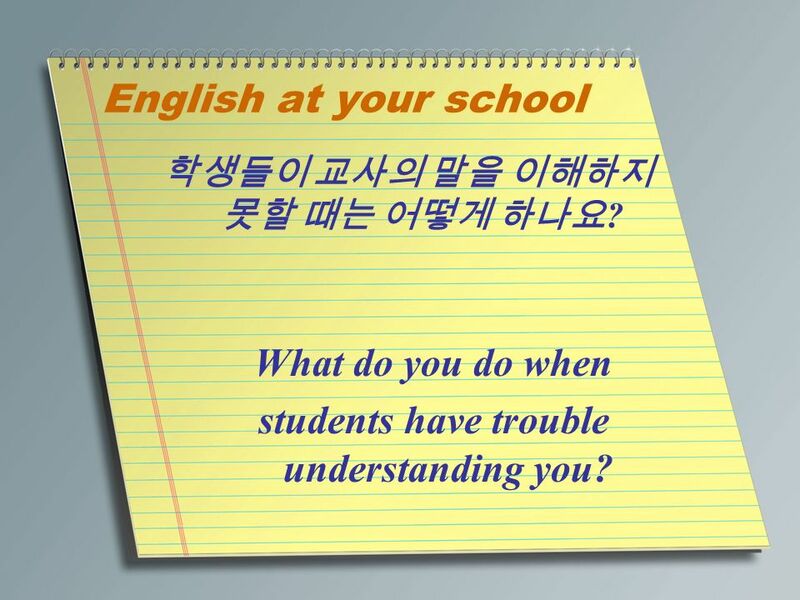 What do you do when students have trouble understanding you? 17 English at your school 교재나 교구는 어떻게 선정하나요 ? How do you select your teaching materials? 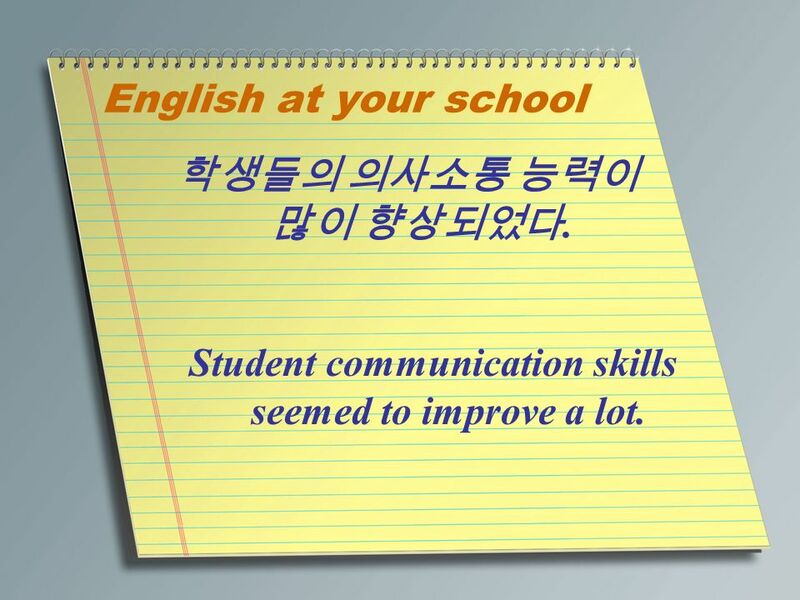 18 English at your school 학습 집단 ( 모둠활동, 짝 활동, 개인 활동 등의 선택 방법 ) 의 조직은 어떻게 하나요 ? 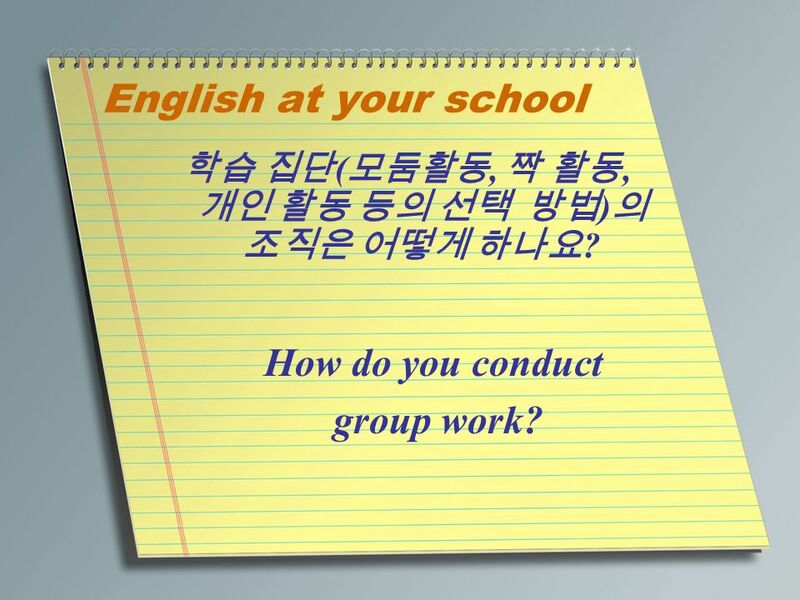 How do you conduct group work? 19 English at your school 학생들이 좋아하는 활동에는 어떤 것들이 있나요 ? What are some of the student’s favorite activities? 20 English at your school 학생들의 듣기 능력 향상을 위한 교수용어 사용 계획이 있나요 ? 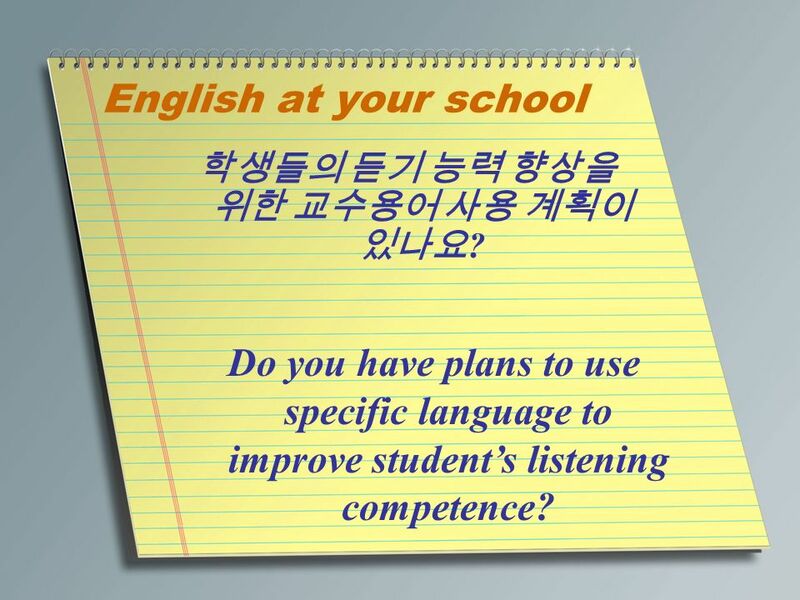 Do you have plans to use specific language to improve student’s listening competence? 21 English at your school 자신의 수업을 매시간 스스로 평가하나요 ? Do you self evaluate each of your lessons? 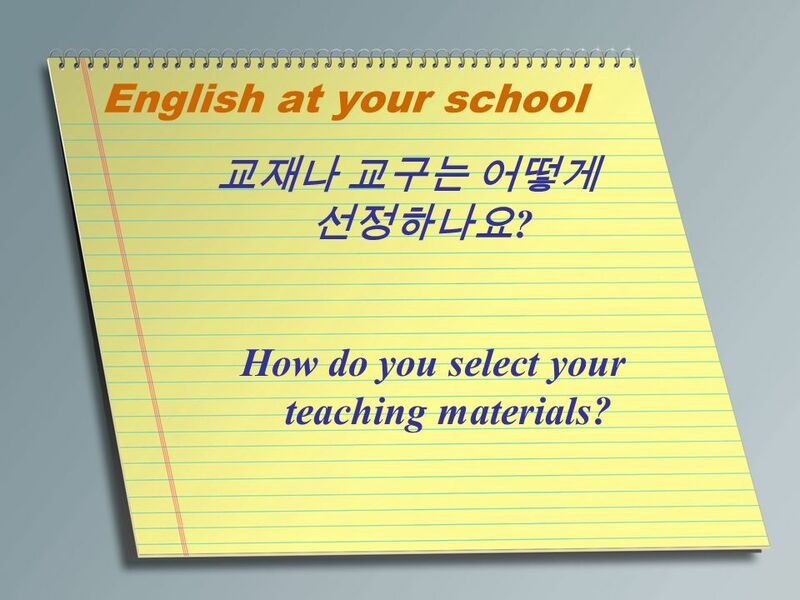 22 English at your school 한 시간의 수업을 위해 얼마나 준비하나요 ? How long do you prepare for one hour lesson? 23 English at your school 원어민 교사 수업의 강점이 무엇이라고 생각하나요 ? 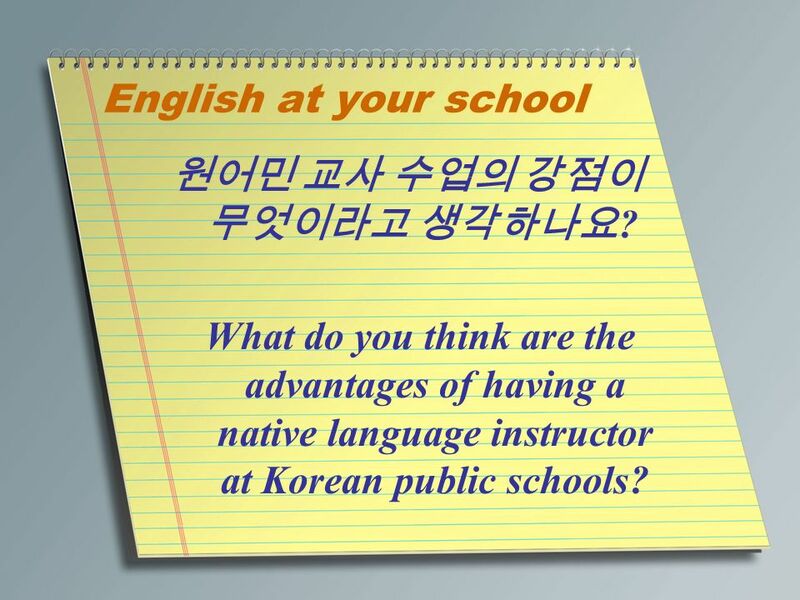 What do you think are the advantages of having a native language instructor at Korean public schools? 24 English at your school 한국인 협력교사와의 협력에 문제점은 없나요 ? 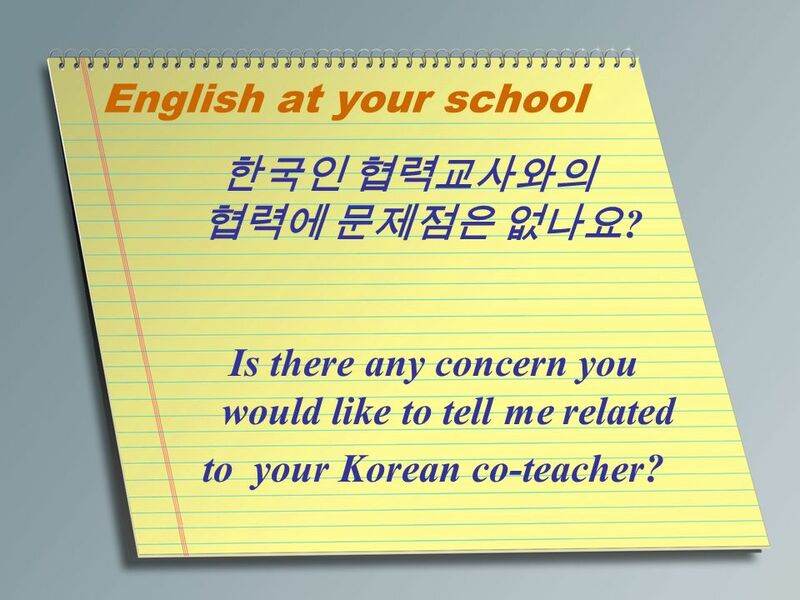 Is there any concern you would like to tell me related to your Korean co-teacher? 25 English at your school 좀더 효과적인 수업을 위해 어떤 지원이 더 필요한가요 ? What additional support would you want to make your teaching more effective? 26 English at your school 첨가 시킬것이 더 있나요 ? Do you have anything else to add? 27 English at your school ……. 을 어떻게 느끼세요 ? How do you feel about ……? 28 English at your school ……. 학교에서 즐겁게 일하나요 ? 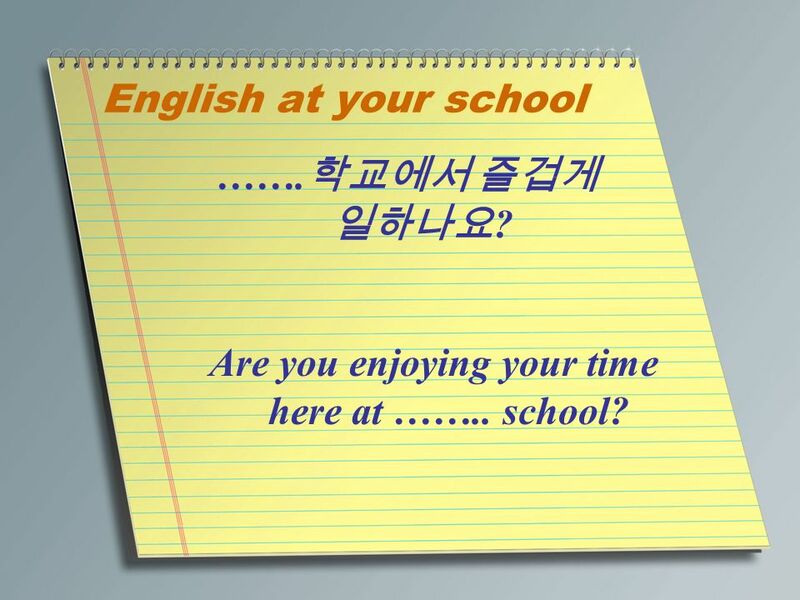 Are you enjoying your time here at …….. school? 29 English at your school 좀 더 나은 선생님이 되기위해 무엇을 할 것인가요 ? 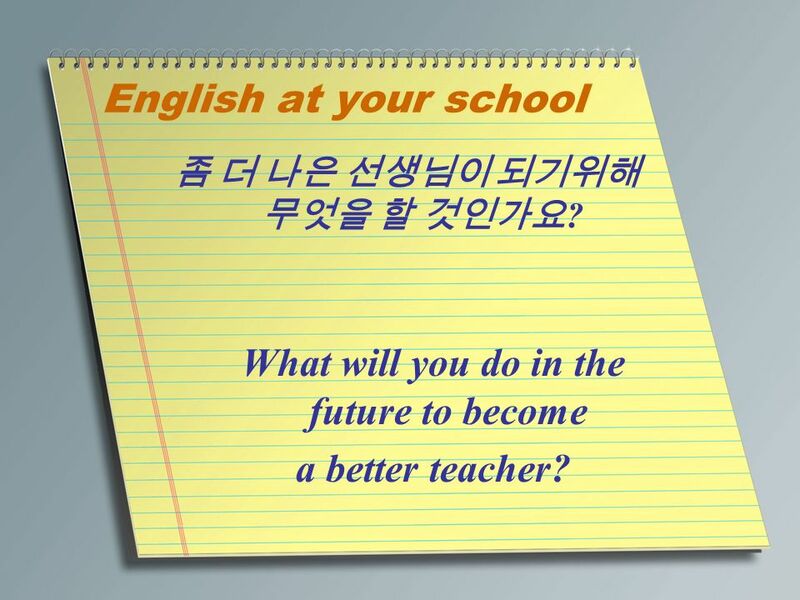 What will you do in the future to become a better teacher? 30 English at your school ……. 학교에서 무엇이 가장 좋았나요 ? What do you like best about …………..school? 31 English at your school 선생님으로서 가장 큰 도전은 무엇인가요 ? 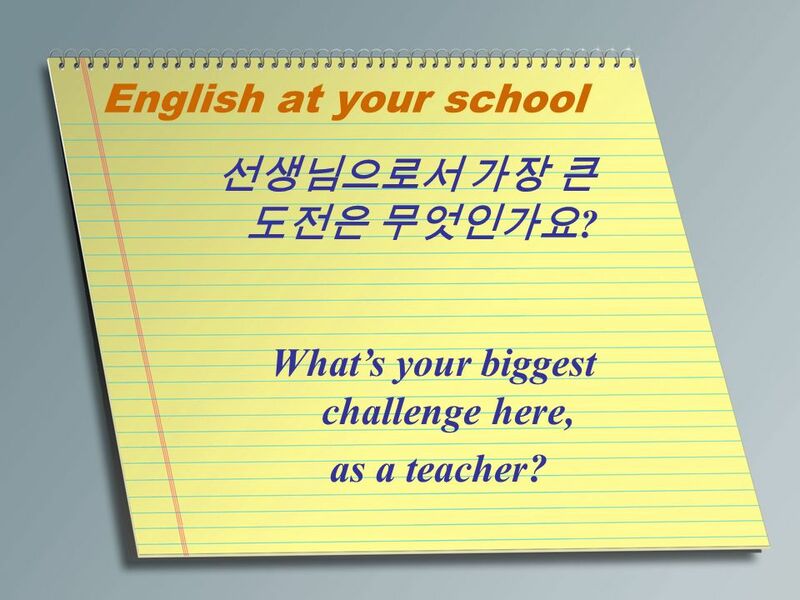 What’s your biggest challenge here, as a teacher? 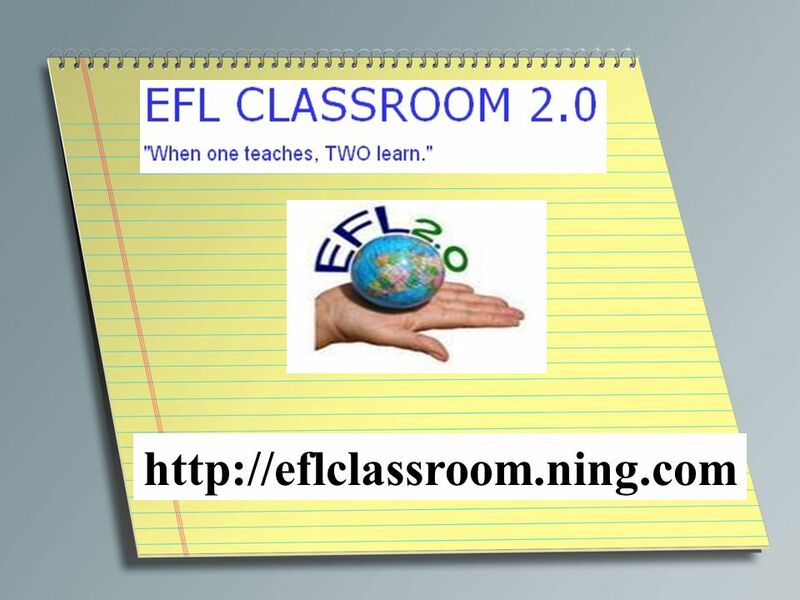 32 English at your school ……. 학교에서 가르침에 있어 가장 좋은것은 무엇인가요 ? What do you enjoy most about teaching at …….. school? 33 English at your school 시간 내줘서 감사드리고 항상 행복하세요 ! Thank you for your time and good luck! 34 Keep Learning. 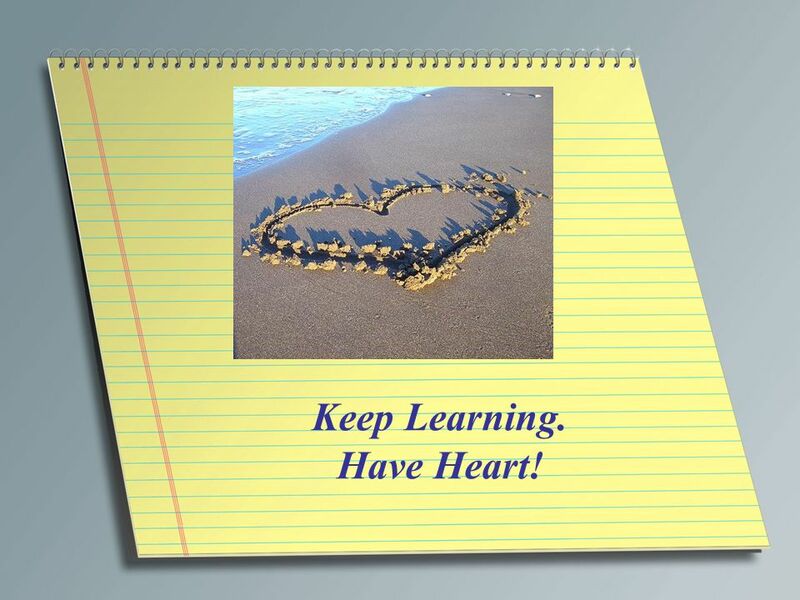 Have Heart! 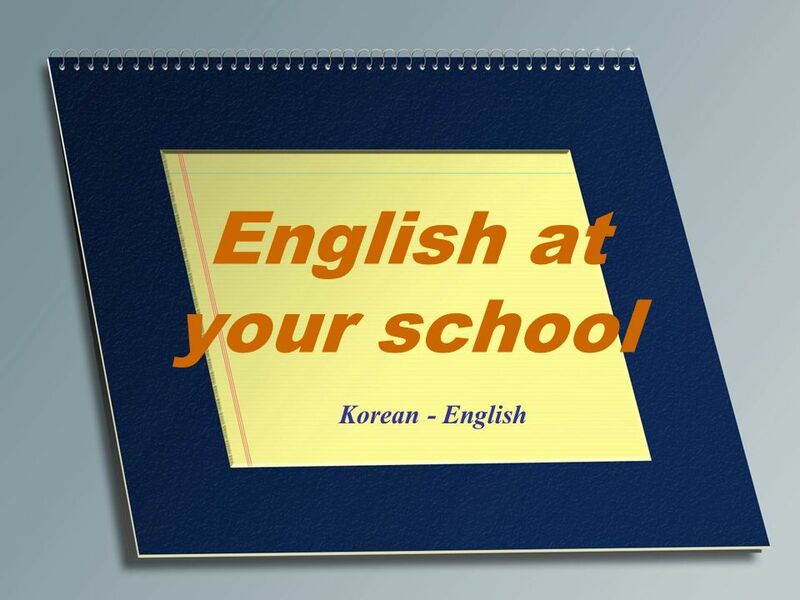 Download ppt "English at your school Korean - English. 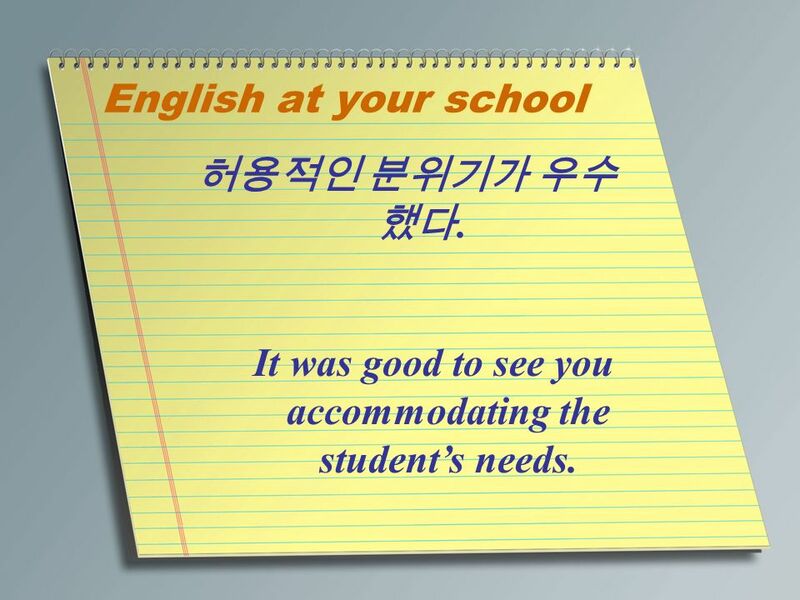 English at your school 수고했다 Well done. I was very impressed!" 시온 한국어학교 가을학기 학생 발표회 Zion Korean Language School Fall Semester Students Presentation 2009 년 12 월 13 일. 효과적인 영어학습법과 인터넷활용 박은영. WHY? Why do you study English? Why do we have to study English? [ 영어 향기 모임일지 ] 일시 장소혁신교육 지원센터참석인원 8 주제 Side by side 활동내용 We studied [side by side] lesson 6 Family members / Describing activities and events. 도와드릴까요 ? 무슨 일 때문인지 여쭤봐도 될까요 ? 직 원직 원 직 원직 원 May I help you? Do you need any help? 직 원직 원 직 원직 원 Could I ask what this is regarding? [ 싱가포르항공 ] ▶싱가포르 항공 승무원 채용 자격조건 나이 : 나이제한 없음 학력 : 4 년제 이상 졸업한자 신장 : 158CM 이상 시력 : 교정시력 1.0 이상 어학 : 영어 ( 상 ) 영어회화 및 영어작문 가능한자 복지 : 사원복지, 주택제공, 항공권할인 (1. TLBU Global School.  TLBU English Program 과 연계.  2 학기 선행학습 준비 및 자기주도학습 (Portfolio) 진행.  영어 실전 테스트에 대한 적응력 배양. - KESL 30 시간 중 10 시간을 할당함. “Grammar to Explain” 특수한 화법으로 직접화법과 간접화법의 중간적인 것이다. 소설에서 자주 쓰이는 이 묘출 ( 描出 ) 화법은 말 그대로 묘사체에 속한다. 작중 인물의 말이나 생각을 작가가 대신해서 묘사하여 전달하는 화법으로서 전달부분이 안 나타 나 있어도. 1 Confident English Speaking! “ 영어말하기 – 자신 있게 시작하자 ” 강사 : Winston Kim & Steve Ward.